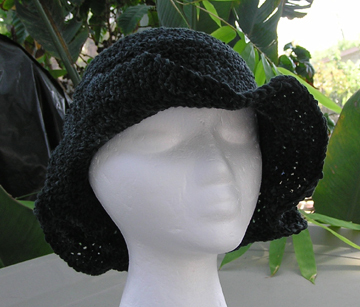 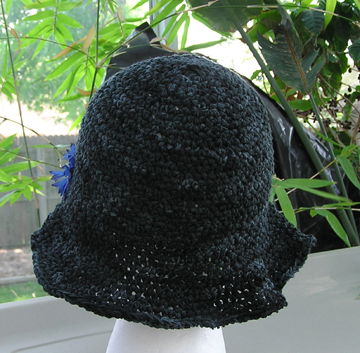 � An elegant ribbon yarn hat made with a luxury hand dyed ribbon yarn from Wales. 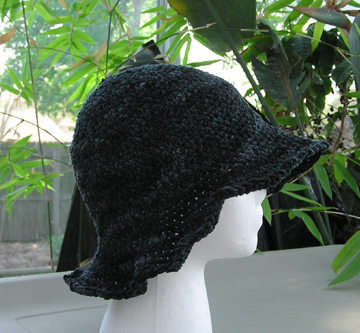 Lightweight and perfect for summer, in subtly variegated black with hints of dark grey. 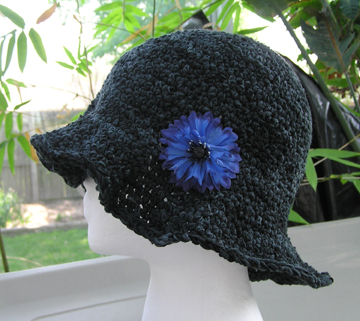 Accented with small blue fabric flower attached with velcro.